The two Texans running for the Democratic nomination for president are both vowing to publicly release their tax returns, though the timing remains up in the air. 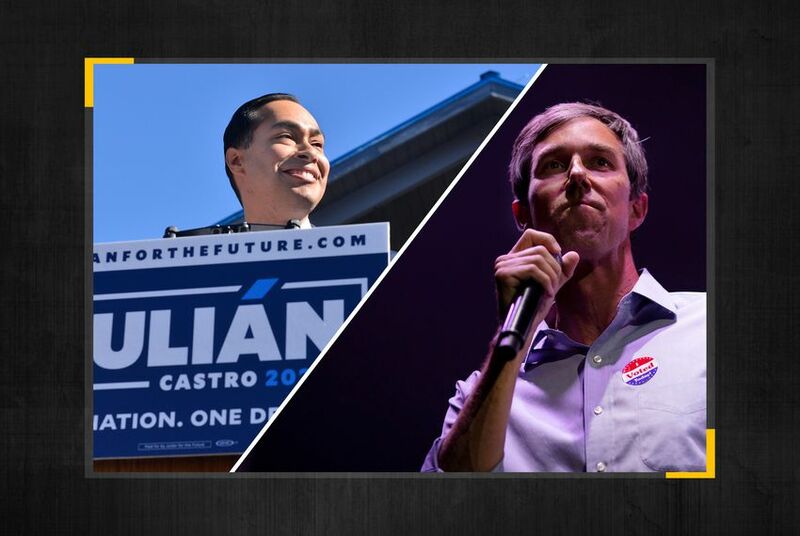 The Texas Tribune recently requested five years of tax returns from Beto O'Rourke and Julián Castro. Neither campaign complied but both candidates say they will release them at some point. "We're going to release them with more than enough time before the voting starts for people to take a look," Castro told the Tribune Monday evening in Washington, D.C. When asked how many years of his tax returns he plans to release, Castro said he would see how many years other candidates in the race release. "Some people say five years, ten years," he said. Within hours of his announcing he was running for president in mid-March, O'Rourke told reporters in Iowa that he would release some of his tax returns at some point. On March 20, while campaigning in New Hampshire, he was asked how many years of tax returns he would release. "That's a great question. I haven't thought about that," O'Rourke said. "I do plan on releasing our tax returns, and I want to do that as soon as we can. Certainly last year, but we'll find out what the standard is and release that." O'Rourke said he didn't have a timeline on releasing them but wanted to do it "sooner rather than later." Last week, U.S. Sen. Kirsten Gillibrand of New York released her 2018 tax return, revealing that she earned about $218,000 last year through her congressional salary and a book deal. She challenged other Democrats running for president to also release their tax returns. "For public servants, releasing your tax returns shows the American people that you work only for them, not the powerful," Gillibrand said in a statement. "I’m proud to be the first presidential candidate to release my latest returns, and take that critical step towards transparency." For decades, it was common practice for presidential candidates to release some of their tax returns. Two years ago, U.S. Sen. Ted Cruz, in the middle of an intense fight for the GOP presidential nomination against Donald Trump, released information from some of his tax returns and dared Trump to match him. "It’s time for Trump to come clean and release his tax returns,” Cruz said in a statement at the time. "If he’s not been completely honest or has supported the most radical left-wing groups in America, voters deserve to know."